You’ve probably heard some people say you should drain your battery completely before charging it, but that applies to older nickel-based batteries. 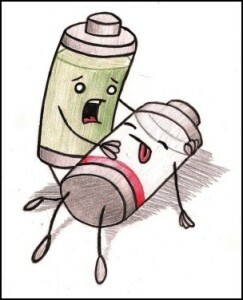 Most of your gadgets these days will run on newer Lithium Ion batteries. Lithium batteries last longer when you shallow discharge, and keep them cool. The gist is: Don’t drain your battery all the way, and don’t overcharge or overheat them. 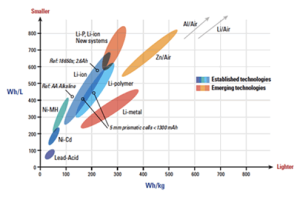 If you’re interested in the power capacity of different battery technologies, real and imagined, see the graph below for a bit of detail. PreviousPrevious post:Three ways to protect your data!NextNext post:Ever had winmail.dat attached to an email instead of your files?